A scalpel sharp political satire from the Orange Prize winning writer of We Need to Talk about Kevin. Edgar Kellogg has always yearned to be popular. Leaving his lucrative career as a lawyer for the sexier world of journalism, he's thrilled to be offered the post of foreign correspondent in a Portuguese backwater with a home-grown terrorist movement. Barrington Saddler, the disappeared larger-than-life reporter he's been sent to replace, is exactly the outsize character Edgar longs to emulate. 'The Daring Soldiers of Barba' have been blowing up the rest of the world for years in order to win independence for Barba, a province so dismal, backward and windblown that you couldn't give the rat hole away. So why, with Barrington vanished, do the terrorist incidents suddenly dry up? 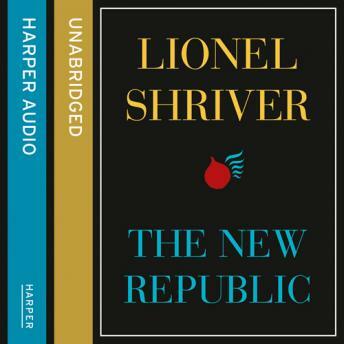 A droll, playful novel, The New Republic addresses weighty issues like terrorism with the deft, tongue-in-cheek touch that is vintage Shriver. It also presses the more intimate question: What makes particular people so magnetic, while the rest of us inspire a shrug? What's their secret? And in the end, who has the better life - the admired, or the admirer?